Midfielder Lily Agg joins from Brighton & Hove Albion Women. The 23-year-old came through the Brighton's centre of excellence, before spells with Arsenal and Millwall Lionesses. "It is great to add another player to the squad, especially one with the desire that Lily has shown to join the club," said Bristol City Women head coach Willie Kirk. "She adds a lot of things to the squad, bringing great life experience as well as playing experience." The attacking midfielder has joined up with the rest of the City Women squad this week and is looking forward to getting started. "I always promised myself that once I got my teaching degree that I would pursue football and play at the highest level I could. "As soon as the opportunity came along to join bristol, I jumped at it. "I have committed a lot to be here and hopefully that shows in the way I play." Tickets will be available for all games online via Tickets.Bristol-Sport.co.uk shortly with season cards also on sale in the next few weeks. 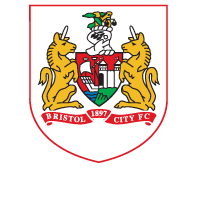 Follow @BristolCityWFC on twitter to keep up-to-date on all the Bristol City Women action and news.